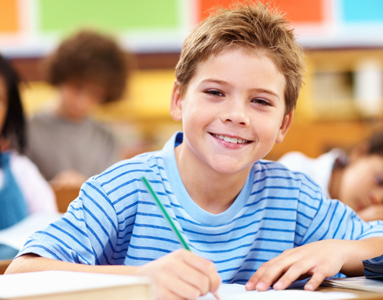 Is Your Child Struggling in School with Poor Focus and Attention? If so the Information on this site could Change your Childs Life! Watching a child struggle with ADHD can be very hard on parents. They want the best for their child and these issues can be stressful at home and at school. Dreading parent teacher conferences and fearing what the teacher is going to say about the child they love so much is no fun. Have you heard over and over that your child can't sit still at his desk, that she can't focus and that he/she is so easily distracted that it's affecting their grades? It's a shame because you know they are smart, if they could only focus. In fact, most ADHD kids are highly intelligent. Has your child's teacher asked if their pediatrician checked them for ADHD hoping they may need stimulant drugs? Maybe they are already taking the medication and you are concerned about the side effects. Does this sound familiar? You're not alone approximately 9.5% or 5.4 million children 4-17 years of age have been diagnosed with ADHD and its getting more common every day. 35 won't finish high school. 25 will repeat at least one grade. 52 are abusing drugs or alcohol. 40 have tried alcohol and tobacco at an early age. 19 are smoking cigarettes (compared to 10% of the general population). 30 have engaged in theft. Those are staggering statistics but there is a drug free alternative. Hello, my name is Dr. Joseph Childs and I am a Board-Certified Chiropractic Neurologist. I am fellowship trained in Functional Neurology and Childhood Neuro-Developmental disorders. I have been practicing in Chester County since 1999. Based on my extensive knowledge of Functional Neurology, I use a different approach in treating the cause of ADD/ADHD. I have observed a disturbing trend concerning the treatment of ADD/ADHD... most children never have a thorough neurological exam and are automatically prescribed stimulant medications which may help but do not address the underlying cause of the problem. Most parents are led to believe their only option is medication. The most important thing you need to know is there is a healthy drug-free alternative to helping kids overcome ADHD so they can succeed. 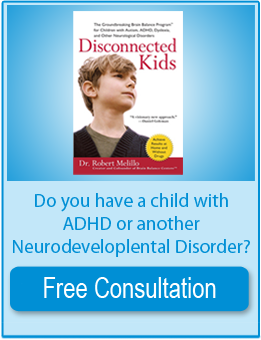 ADHD is caused by a neurological and or metabolic problem that creates an imbalance in brain function. You can learn more about this right here. This website has been designed to educate you and give you hope that there is a better way to help your child or teenager! You will be amazed to learn that there are MANY different neurological tests and metabolic tests that can be analyzed in order to determine exactly how your child's brain and body are functioning. Watch the video on this site and read about our unique approach to learn more about this. Food sensitivities and leaky gut? Vitamin or fatty acid deficiencies? These all can have a big effect on your child's mental focus. The newest research shows that what really causes ADHD and other neuro-developmental disorders is an electrical imbalance between the 2 sides of the brain. It's called Functional Disconnection Syndrome. One side of the brain develops weaker than the other side. Not only is it weaker but it can get out of sync with the strong side, and, unless you fix the imbalance, your child will continue to struggle. In kids with ADHD 99% of the time it is the right side of the brain that is delayed in its development. Our program includes specific sensory motor therapies to stimulate and strengthen the weak side of the brain to help these kids. Please watch our video and read the section called Our Unique Solution to learn more. The ADHD video on this site will explain our drug free approach in detail. If after reading the information on the site and watching my video you have questions about our program or your individual child, please set up a free consultation with me by filling out the box on this site. I would be happy to answer any specific questions you may have. If you are ready to finally see if your child can be helped right away call our office at 610-518-3370 so we can schedule a free consultation.